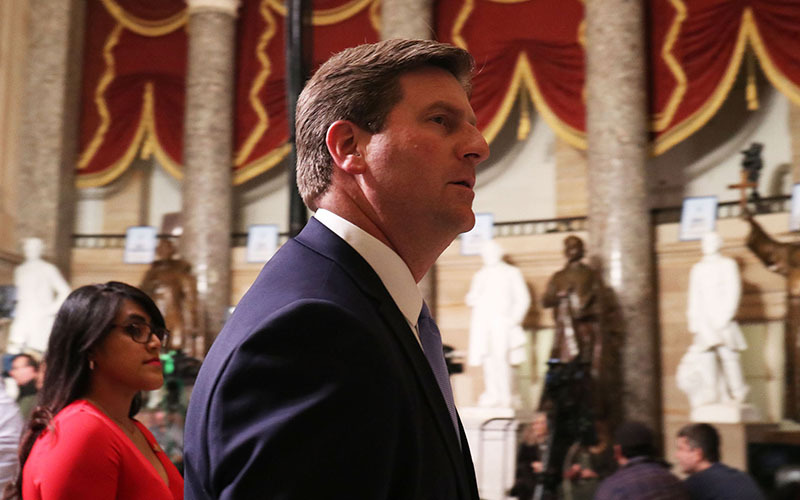 WASHINGTON – President Donald Trump will be doing the speaking, but members of Congress will deliver their own messages at the State of the Union address Tuesday, and Arizona lawmakers were no different. Lawmakers are allowed to invite one guest to the annual speech and many use the opportunity to send subtle – or not so subtle – messages to the president. But that does not mean lawmakers will not try to get attention. A number of Democrats planned to bring DACA recipients to the speech and at least four members were expected to bring transgender veterans to protest the president’s push to ban transgender service members. Freshman Rep. Alexandria Ocasio-Cortez, D-New York, planned to bring the woman who trapped then-Arizona Sen. Jeff Flake an in elevator to confront him about the confirmation of Supreme Court Justice Brett Kavanaugh. For Arizona lawmakers, the guest list included a Border Patrol agent and a deferred deportation recipient, a teacher and a conservative talk show host, a rapper and a spouse. The rapper is Isaiah Acosta, a 19-year-old from Arizona who was born without his lower jaw. Despite being mute, Acosta “has successfully recorded and performed multiple songs with Southwest hip-hop artist Tikey Patterson who voiced Acosta’s lyrics,” according to a statement from Sen. Martha McSally, R-Arizona, who invited him. Before focusing on rap, Acosta was an advocate for Phoenix Children’s Hospital and Children’s Miracle Networks Hospitals, according to a bio from McSally’s office. Patterson, who voiced his lyrics, died last month after a battle with cancer. Other guests were more obviously political. 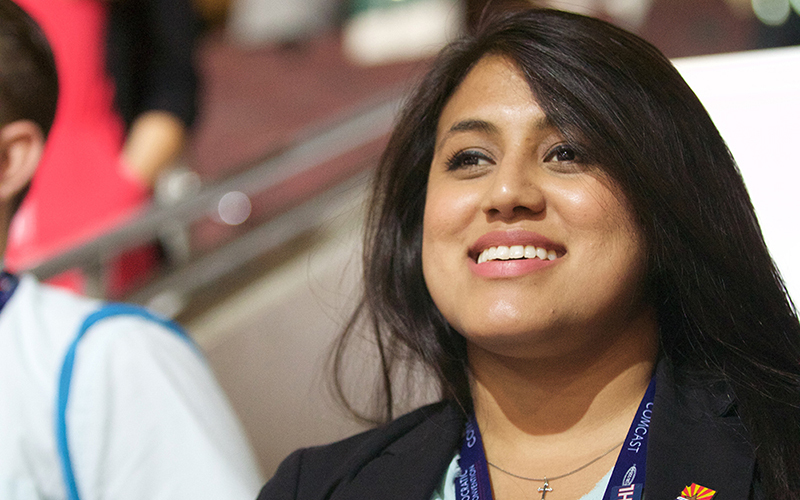 Rep. Greg Stanton, D-Phoenix, is bringing Ellie Perez who was the first recipient of Deferred Action for Childhood Arrivals employed by the city of Phoenix and who worked for Stanton in the past as political and field director of his campaign. “Ellie is a reminder to all of us in Congress – and to President Trump – that our nation will be stronger when we pass immigration reform that fully embraces DREAMers as Americans,” Stanton said in a statement from his office. On the other side of that debate is Rep. Andy Biggs, R-Gilbert, who planned to bring Art Del Cueto, a Border Patrol agent since 2003 who is also a Tucson-based officer of the National Border Patrol Council, the union representing agents. Rep. Ruben Gallego, D-Phoenix, is bringing Beth Lewis, a fifth-grade teacher who is director of Save Our Schools Arizona, while Rep. Ann Kirkpatrick, D-Tucson, is brining Christina McVie, an environmental activist from southern Arizona. Rep. Tom O’Halleran, D-Sedona, is bringing Navajo Vice President Myron Lizer as a reminder to “my colleagues in Congress and this administration to uphold our treaty obligations,” said a statement from the congressman’s office. Democratic Sen. Kyrsten Sinema said she will bring retires U.S. Air Force Maj. Bryan Bouchard, who serves on her Veterans Advisory Council. She said his “record of service is inspiring” and he called it an “honor” to be Sinema’s guest at the address. Rep. Paul Gosar, R-Prescott, is bringing radio host James T. Harris, who hosts “The Conservative Circus” on KFYI, according to a spokesman for Gosar. Not all members bring guests and Rep. Debbie Lesko, R-Peoria, planned to bring her husband – the least political choice or the most politically savvy, depending on how you look at it.